The last month has been really busy around here. We're 2 weeks into the term and still feel a bit all over the place and not back into our usual routine. My recipe choice for this month's Secret Recipe Club is perhaps indicative of my state of mind at the moment. Here Spring has arrived with a vengeance - the weather has warmed up and the jacarandas are in full bloom - but I'm still making soups and stews and feeling like hibernating. I think it's the stress and busy-ness of moving house that has finally caught up with me! So when I was assigned Palatable Pastime by Sue for SRC this month it wasn't her amazing array of salads like Apple-Fennel Salad with Almonds that I was drawn to, it was heartier fare like Corned Beef Hash and Rustic Tortellini Soup. As usual though I needed an idea for an after school snack so I started looking for something sweet and ended up making 2 related recipes. Pumpkin really hasn't caught on here in Australia as an ingredient for sweet dishes. You will never find canned pumpkin or pumpkin pie spice on the shelves. I decided to finally remedy that and make my first batch of pumpkin pie spice to enjoy whenever I like. Makes 1 cup (I plan on using lots of this over the coming months but Sue's post also gives instructions for smaller quantities as well). Whether you have access to canned pumpkin puree or not, it is so, so easy to make your own. 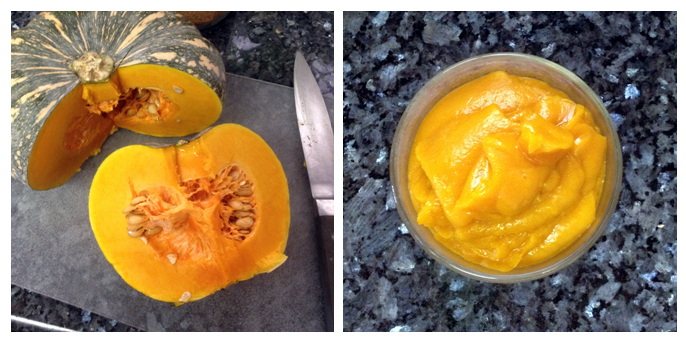 Simple steam or bake some pumpkin, throw it in a blender or food process and puree until smooth. That's it! Preheat oven to 180 degrees Celsius. Line 2 trays with baking paper. In a large bowl, beat together the butter and sugar until well combined. Add the egg and beat well. Add the pumpkin puree, peanut butter, salt and spice and mix until well combined. Next fold through the flour to form a thick and sticky dough. Roll tablespoons of dough into balls and place on the prepared trays. 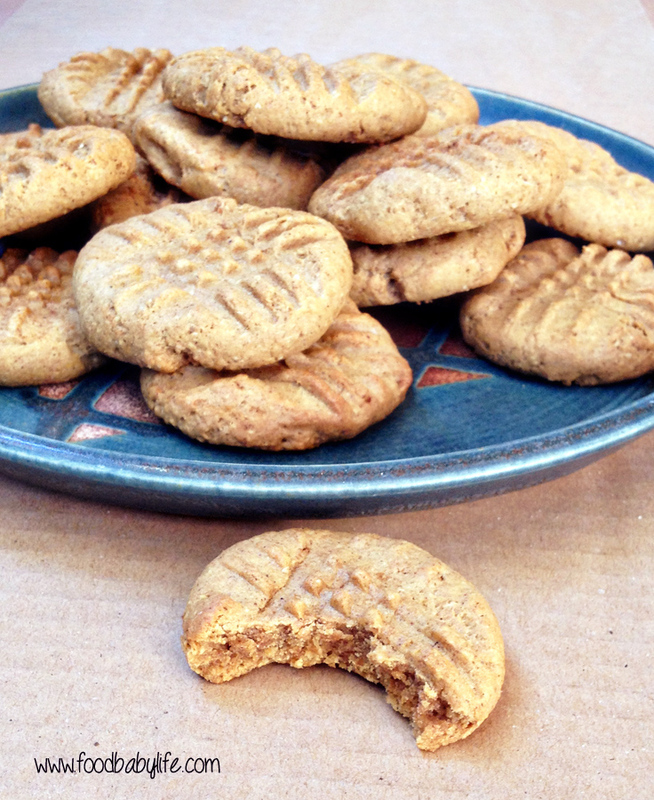 Dip a fork into some extra coconut sugar and press the cookies flat with a criss-cross pattern. Cool on the tray for a few minutes then place on a wire rack to cool completely. Thanks for 2 great recipes Sue! My kids and I LOVED these crispy edged-chewy middle cookies and I am such a fan of the pumpkin pie spice. Thanks Karen! 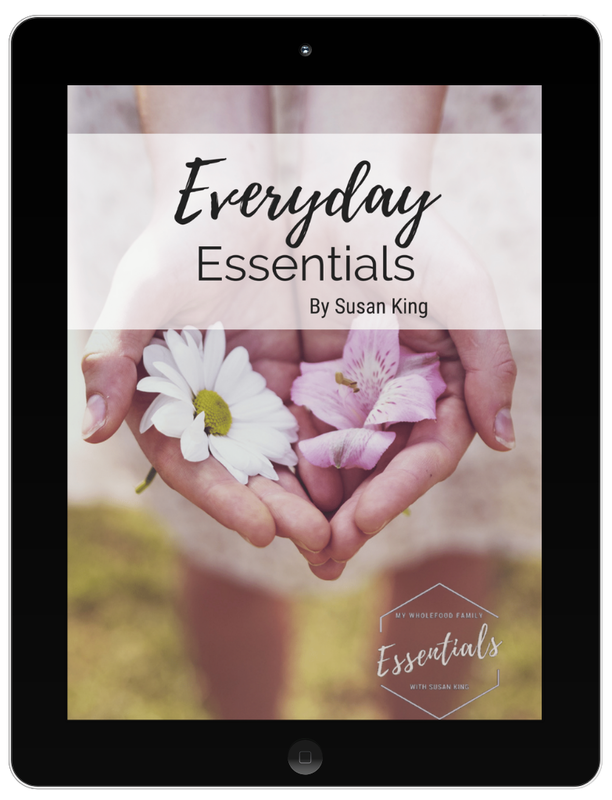 I had a hard time choosing from Sue's blog as everything looked so good! PUmpkin spice time indeed! What a nice choice for your assignment! Congratulations to you for going outside the box for the area in which you live. Great SRC choice. Thanks Wendy, there are some things that should be enjoyed all year round! Oh how I love peanut butter and pumpkin together! Also love that you made your own pumpkin pie spice. I don't think I've had peanut butter and pumpkin together before but what a delicious combination! It's always great when you can make pumpkin pie spice and pumpkin puree at home! pumpkin & pumpkin pie spice in a peanut butter sounds great! 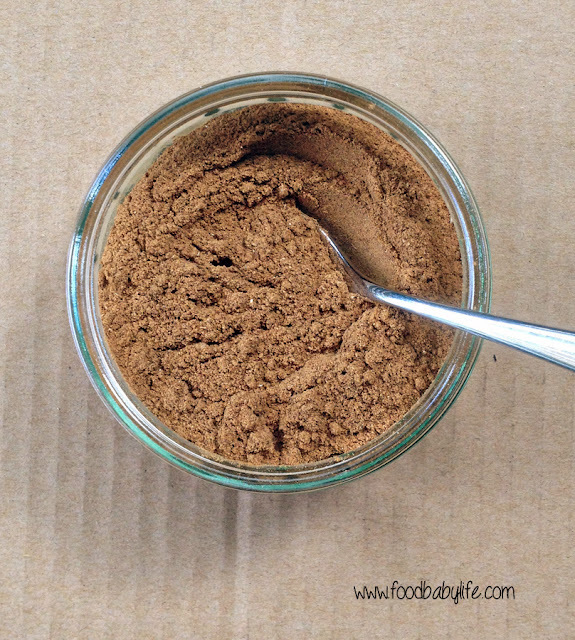 What a great use for pumpkin pie spice! Your cookies look delicious! Thanks Karen. I would never have thought of using it in a peanut butter cookie! Good for you for making your own pumpkin spice mix! Random question for you - my husband and I are travelling to Australia next March... do you have any recommendations of where to go? Oh this is a new combo for me. It sounds delicious with two of my favorites pumpkin spice and peanut butter. Yum! I'm thinking about making my own baby food for my 6 month old...does anyone have any advice about this? What's the easiest way to do it? I also heard that once you start feeding your baby homemade baby food, its really hard to get them to eat jar baby food- from your experience do you think this is true? Homemade baby food is awesome! And so easy when you are just starting because it is just single fruits or veggies. There are loads of recipe sites out there but Annabel Karmel is quite a good one. Basically just steam and puree some vegetables, keep some to use that day and freeze the rest in ice cube trays ready to thaw and use another time. In my experience with my 3 kids the more homemade food the better because it exposes them to greater variety of ingredients and textures (jar food is all the same consistency and mouth feel). Good luck!!! Changes are coming and I need your help!